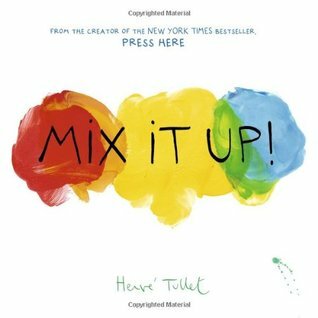 My Review: Mix it Up! 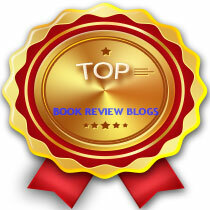 is a companion book to the award-winnning Press Here I reviewed last week (read that here). The two books don't necessarily have to be read in order, but this one does lead with the words "It's that time again!". Both books are interactive, in that they require the reader to follow some basic instructions on each page. Mix It Up! builds on the interactivity of Press Here by introducing readers to the concept of mixing colors. First your child invites all the colors out to play by tapping the page. Out they come, a little shy at first. When all colors are present an accounted for, they are asked to place a hand on the page, close their eyes and count to five. Magically, the next page contains a white void in the paint, the size of a child's hand. Next, the reader gets to mixing, use their finger to blend primary colors into secondary colors, and then mixing in white or black to make them darker or lighter. Then things get a little wackier. For example, what happens if you shake the page with yellow and blue, or tip the page with blue and red!? What does smearing your hand across a page of colors do? 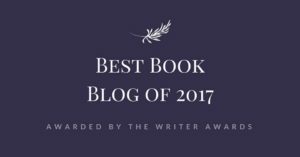 Does slamming the book closed and pushing down really hard do anything? It's all great fun. Mix It Up! is a great way to help children discover a world of color-mixing fun. This has been my five year old's requested bedtime story (along with Press Here) since they came in the mail a week or so ago). She loves 'dipping' her finger in one color and 'dabbing' it on another' and shaking and slamming and tilting the book like crazy. Even my eight year old takes her turn. I recommend this book to anyone who wants to give their kid a creativity boost and/or inject a little variety in their bedtime story routine. For the sensitive reader: Have at it.